Ever have a heavy storm knocked out your power for many than a few hours? For example, a hurricane comes through and knocks your power our for days. Then what? Do you have a plan? To help be prepared, consider getting a portable generator for your home or business. By having a general portable generator, this can help keep the power going while you’re dealing with a power outage that may last for days. A backup generator can help maintain electricity to various items such as lights, computers, heating system, office equipment, etc. A generator not only helps with back up power but can also help a building be protected from certain hazards that could possibly accompany a storm. In case of an emergency, SERVPRO of Sugar Land is always here to help keep our community prepared. Alternaria: Commonly found on food, plants, rotting farmland manure and is resistant to most fungicides. Botrytis: Associated with plants, high humidity levels and plenty of plants attract this mold. SERVPRO of Sugar Land is fully trained and specialized in the cleaning and disposal of biohazard contents and affected materials in the Sugar Land area. When it comes to a biohazard situation, SERVPRO of Sugar Land knows best how to handle a situation like this. Protection is important to our employees because removal of biohazard materials can cause serious health consequences. Where you in Houston last year during Memorial weekend? Do you remember the storm that affected many lives in Houston that weekend? Many Houstonians suffered last year during Memorial weekend rainfall. Recently, a repeat of that weekend struck the Houston metropolitan area again. Typically the Houston area sees about 4 inches of rain in the month of April, but on April 18th, Houston (and surrounding areas) received 16 inches of a downpour of rain in just an hour. With all the rain this month, it's important to think about the other areas of the safety of our homes and offices. It's common to use electrical outlets and extension cords, but they can become dangerous when they are overused. Listed below from the Electrical Safety Foundation International, here are some hazards along with remedies to fix the problems. Potential Hazard: Overloaded circuits could cause an electrical fire. Warning signs: outlet or wall may be warm to the touch; Outlet may be yellowed or discolored; circuit breakers may frequently trip; the smell of burnt insulation in the air. Remedy: Have an electrician run a dedicated circuit and install additional outlets. Potential Hazard: Overloaded extension cords could cause electrical fires. Warning signs: Extension cord is warm to the touch. Remedy: Use an extension cord with the same or large wire size as the cord is extended. Also, since extension cords are intended for temporary use, consider having an electrician install additional outlets. Potential Hazard: Ungrounded outlets that will not protect you from an electrical shock in the event of a short circuit. Warning Signs: three-prong plug has been forced in a two-prong plug outlet. Remedy: If the outlet has no grounding wire, have an electrician run a new circuit with a grounding wire. If there is a grounding wire, simply install an outlet that accepts three-prong plugs. Potential Hazard: Improper placement of extension cords could cause a fire. Warning Signs: Extension cords that run through walls or underneath carpets. Remedy: Try rearranging furniture, finding a closer outlet, or having more outlets installed. Spring has arrived and what better time of the year to clean the clutter out than now? It's a tradition for most people to take this time of year and do an annual spring cleaning. Green means clean to our SERVPRO crew. So begin fresh this season. Clear out old items that may be taking up too much space in your home by selling or even donating these (un)used items. Below are some resources to help you start your spring cleaning to get you back on track to the lifestyle you want. A really good deep spring cleaning should take more than a day. Set aside a weekend to steadily get the major chores done. An average amount of time to clean an area can take about 2-6 hours. As you start your spring cleaning, organize your time and tackle the big chores first. Declutter the room by sorting out and organize items into different piles. Once these tasks have been attacked then clean the surfaces with the tough grime and wiping down counter tops and polishing it. Don't overlook the items in plainsight such as kitchen appliances. Also, address the little small hidden crevasses. Don't rush - This will not happen in one afternoon, organize your time and pace yourself as you work on these chores. Like cleaning a car, you start from the top and work your way down. When you begin dusting a room, it would only make sense to start at the top and work your way down. By starting from the top, you will be able to save more time and energy instead of having to repeat the task at hand. Helpful hint: there is always an exception to the rules and cleaning walls can be considered one of those exceptions. When cleaning the walls it may be better to start from the bottom up, then back down again. Dirty soap streaks may be left behind and harder to clear off clean walls rather than dirty walls. Work your way back up to remove any drips. Start with dusting before mopping. By adding water, the debris can be created into a big mess of muddy gunk. Helpful hints: sweep before mopping. Dust fan blades before washing them (with water) and vacuums or wipe windows before washing them as well. We as humans are always busy whether it's taking care of our family, working or getting distracted with whatever life throws at you. So it's natural to put off these chores. To make your future spring cleaning easier on you, create a monthly checklist of a task to do. Break it up by room or sections followed by a flexible schedule to get these chores accomplished. Many people do not know that there is a difference between “mold removal” and remediation. Mold spores exist naturally everywhere, both indoors and outdoors, as they are microscopic. This means that removing 100% of mold from a home or business is impossible. Many restoration companies will advertise “mold removal” and even guarantee they can completely remove all mold. This is simply not true. Qualified restoration companies understand the science behind mold growth and the makeup of mold. All SERVPRO franchises provide thorough training on how to properly remediate mold. The remediation of mold focuses on getting the levels of mold back to natural and normal levels. Since every mold damage scenario is different, each requires a different solution but our general mold remediation process stays consistent here at SERVPRO of Sugar Land. 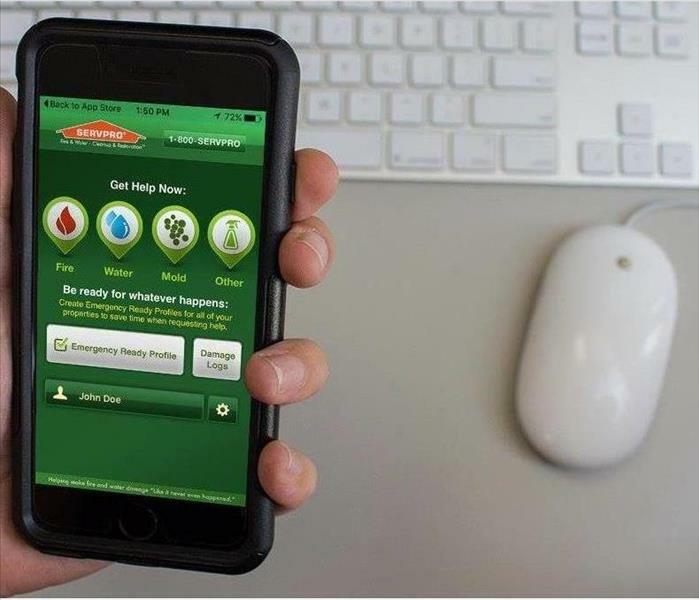 The SERVPRO Emergency READY Profile is a startup approach that provides the critical information needed to begin mitigation and recovery services. It is designed to serve as a quick reference of important building and contact information. By working with SERVPRO’s Emergency READY Profile, your business can receive the benefit of over 40 years of experience in reducing the impact of any natural or man-made disaster. 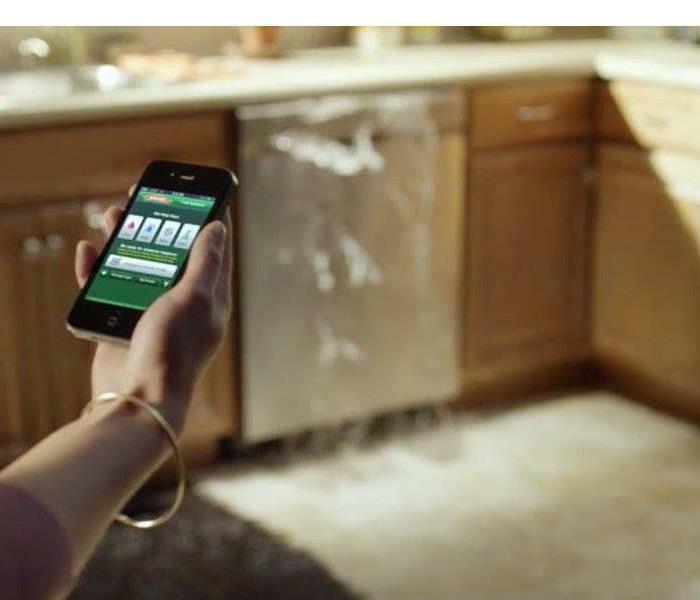 SERVPRO is a leader in water and fire damage response and can help you quickly get your property back in working order. A no-cost assessment of your facility. – This means there is no need to allocate funds, giving you a great value at no cost. Establishes SERVPRO of Sugar Land as your disaster mitigation and restoration provider. – You have a provider that is recognized as an industry leader and is close by. Identification of the line of command for authorizing work to begin. – This saves time, so we can begin the work of mitigating the damage which can save you time and money. As many as 50% of businesses close down following a disaster, according to the latest research. Of the businesses that survive, many of them had a preparedness plan in place. Pre-planning can serve as an insurance policy aimed at peace of mind. And knowing you are “Ready for whatever happens” speaks trust to your clients and employees that in the event your business is affected by a disaster, they don’t necessarily have to be. Fire extinguishers can be used to help control small fires during emergency situations when used correctly. The National Fire Protection Association (NFPA) suggests remembering the word PASS while using the device. There are different classes of fire and each fire extinguisher has labels designated for the type of fire to use the extinguisher on. Become familiar with the device before a fire breaks and double check the fire extinguisher label to make sure it’s designed to fight the type of fire. Turn off the water – Turn the main water supply off by shutting off the shutoff valve. This will help prevent extra water from flooding your kitchen. Electricity shut off – This a safety precaution which ensures that leaking water and electricity do not mix. Family members should be advised to stay out of the kitchen until the dishwasher is safe to use once again. Mop up water- Once the water and electrical systems are secure, it’s best to mop up and remove the standing water. The longer the water sits, the higher the potential of further damages may occur. Call a restoration company – while everything may seem to be dry, it’s the water that you don’t see that can possibly create further damages. Our team here at SERVPRO of Sugar Land, has the tools and equipment to help meet your restoration needs. 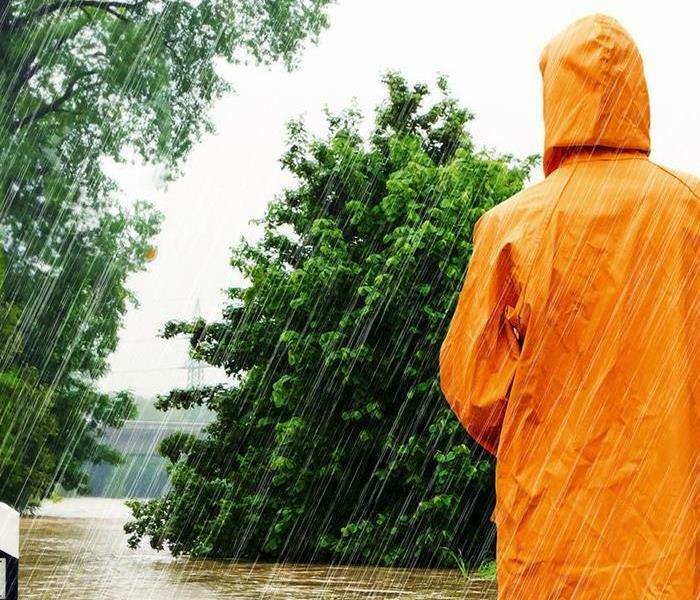 Our team is faster to any water damage disaster and is able to eliminate the standing water with our effective methods. Give us a call – 281-313-1338! A thunderstorm that produces a tornado, winds of at least 58 mph (50 knots), and/or hail at least ¾" in diameter. Structural wind damage may imply the occurrence of a severe thunderstorm. A thunderstorm wind equal to or greater than 40 mph (35 knots) and/or hail of at least ½" is defined as approaching severe. This is issued by the National Weather Service when conditions are favorable for the development of severe thunderstorms in and close to the watch area. The size of the watch can vary depending on the weather situation. They are usually issued for a duration of 4 to 8 hours. They are normally issued well in advance of the actual occurrence of severe weather. During the watch, people should review safety rules and be prepared to move a place of safety if threatening weather approaches. This is issued when either a severe thunderstorm is indicated by the WSR-88D radar or a spotter reports a thunderstorm producing hail 3/4 inch or larger in diameter and/or winds equal or exceed 58 miles an hour; therefore, people in the affected area should seek safe shelter immediately. Severe thunderstorms can produce tornadoes with little or no advance warning. Lightning frequency is not a criterion for issuing a severe thunderstorm warning. They are usually issued for a duration of one hour. They can be issued without a Severe Thunderstorm Watch being already in effect. When storms hit Sugar Land, we can scale our resources to handle a large storm or flooding disaster. We can access equipment and personnel from a network of 1,700 Franchises across the country and elite Disaster Recovery Teams that are strategically located throughout the United States. Give SERVPRO of Sugar Land a call to help your storm damage needs (281) 313-1338! 4/2/2019 - What To Do During A Power Outage?